This two-story, wood-framed house displays the classic architectural features of the Queen Anne style with its asymmetrical organization, multiple roof lines—the main one being hipped, variety of cladding—wood shingle and clapboard, projecting bays, and wrap-around porch. It has wide overhanging eaves with scroll sawn brackets at the corners of the gables and decorative verge boards. Gable roofs project from all four sides and it has an interior brick chimney. A porch with hipped roof, eight turned posts and a spindled frieze wraps around to the right side. The porch railing features arches with a rectilinear pattern below. On the left side of the front facade is a projecting two-story, oriel that is canted on the first floor, square on the second, covered by a projecting front gable with paired scroll sawn brackets below. To its right is a two-story front gabled bay above the front porch that extends up to the attic level, with a fanlight attic window. A recessed right ell has paired windows at the mid-floor level (indicating a stair landing on the interior) and a two-story gable roof extension with paired windows on the second floor right side and box bay window below. There is a large two-story rear ell. Windows are 6-o-6 and 4-o-4 and appear to be intact, outfitted with authentic window blinds. The foundation is of large rough-faced stones. A carriage barn with board and batten occupies the rear yard. 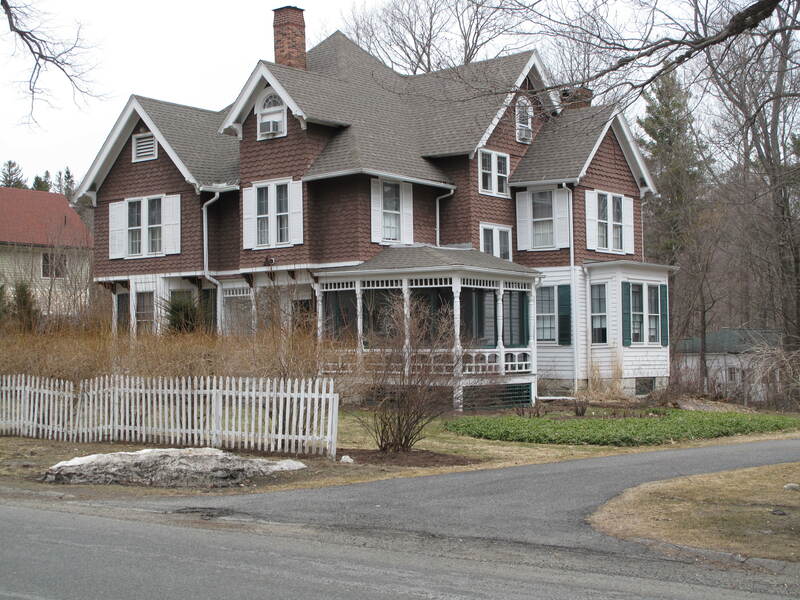 It has a gambrel roof with flared overhanging eaves, clipped ridge, and cupola vent atop. A front wall dormer with clipped gable and intact hay door is at the center of its front facade. It has intact sliding doors, flanked by 6-o-6 windows with window hoods. A wood picket fence runs along the front property line (Cliffwood Street right-of-way). The hoyearsuse was built in 1880 by Dr. Bernard McKay. 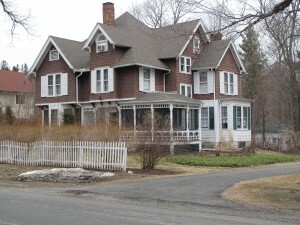 Between 1905 and 1920 the house was owned by Mr. Daniel Griswold. The house was in the Jaques family for many years and then sold to Kevin E. Lord in 2006 and then to Robert Ciraldo in 2007. My wife Patty and I lived in 16 Cliffwood Street for 1 year after being relocated by GE. Of all the homes we have owned this house was the most special.